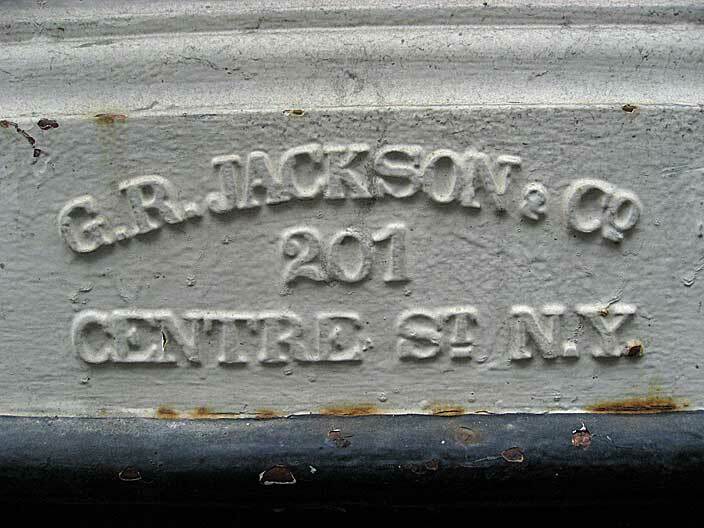 G. R. Jackson & Co. This advertisement for George R. Jackson's Excelsior Iron Works appeared in the New York Times in 1859. The ad specifies, "Established 1839." This dates seems accurate: an entry "Jackson George R. smith, 201 Centre h. 82 Varick" appeared in Longworth's New York City Directory for the year 1839. 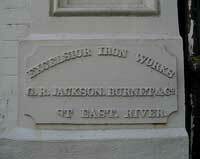 From approximately 1850 until his death in 1870, George R. Jackson was in partnership with James J. Burnet. 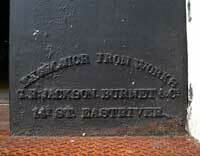 For more on Burnet and this partnership see the Burnet, Jackson & Co. vault lights page. 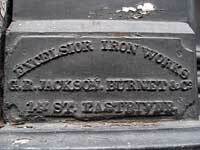 Burnet, Jackson & Co. were in business from 1871 to 1875. 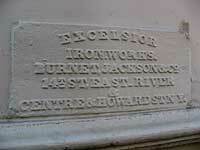 Then the Excelsior Iron Works at 201 Centre St. became George R. Jackson's Sons. Proprietors at Excelsior Iron Works approximately 1875 to 1881 were two of George R. Jackson's sons, George H. Jackson (ca.1841-1879) and Jonathan (aka John) B. Jackson (ca.1843-?). George R. Jackson's Sons disappeared from directory listings after 1882.